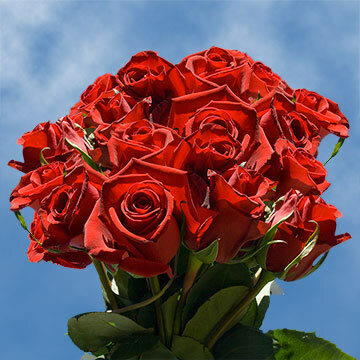 These striking Red Rose Flowers, dubbed forever Young, are perfect for Valentine's Day or international Woman's Day parties, dinners, and events. These blossoms symbolize love, congratulations, and respect, making them perfect for weddings, graduations, or telling someone you love them. When pinned onto a suit jacket as a boutonniere, these florets make a pleasant contrast and add a wonderful touch of color. 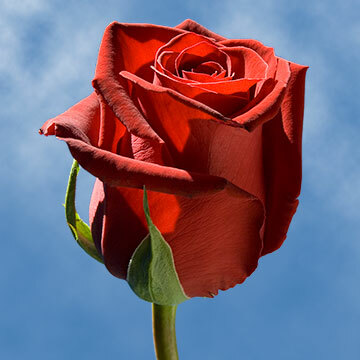 When used in a centerpiece, these Red Rose Flowers can add bursts of color and stimulate your guest with thoughts of love, romance, and passion. As a corsage on a young Woman's wrist, it will be the envy of everyone at her prom or other black tie events. 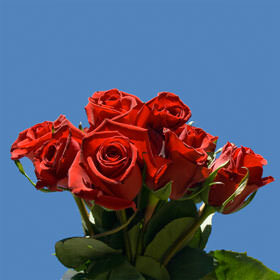 Within two to three days these the blossom will take on their full star shape bloom and radiate your next event with lush and vibrant color. 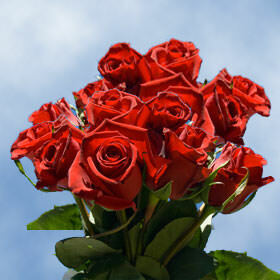 They can also be given to that special someone on their next birthday to tell them how much you care. Our products are grown in state of the art greenhouses. We use only the most advanced growing practices to make sure that our products are always as beautiful as nature intended. 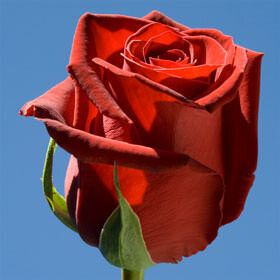 Globalrose.com only ships through FedEx to insure that your orders get to you when you need them. Also, all continental l USA residents will receive free shipping.